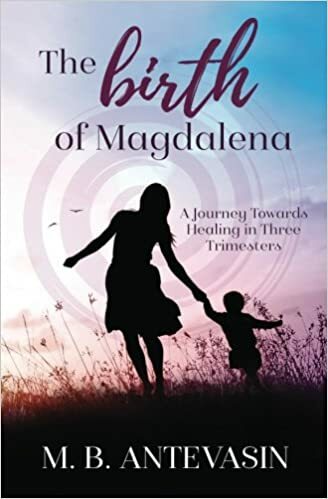 In Magdalena Moments, I talk about when God gave me the ultimate test that addressed all of my body issues, trust issues, and money issues. It was the moment that brought up all of my worst fears. Now, I have been on the other side of that telling the story of how I pushed through that and came out the other side. But there is always another challenge for us on this journey that keeps spiraling us through our patterns. This winter I was challenged to step out of fear and into JOY in some wild new ways. I needed to get off the sidelines, stop hiding behind my limiting beliefs, and just take the leap. Literally. I thought I had faced so many of my biggest fears, and then they grew bigger, just like my babies! While I was busy recovering from their birth, my babies grew into teenagers and took mothering to another level! This winter they dared me to try Skiing of all things. Downhill skiing (and by hill they mean mountain), not cross-country skiing which would be nicely within my comfort-zone. The good news is that while I was growing and healing, I also grew a daughter that is not only smart and beautiful, she is a confident and caring young woman. She was my ski-doula all the way up the ski lift, telling me that I could do it and helping me with my breathing exercises, and then coaching me all the way back down. She was kind to me every time that I fell and waited patiently for me to get back up and try again. She was amazing. Some part of me needs to recognize that she learned it by watching me. After I came home bruised and exhausted from a day in the snow, I filled the new tub with salts and bubbles and contemplated the contrast of white on white. And then got that Counting Crows song about how the angels have a better view stuck in my head! I have manifested so many powerful moments, even though they seldom happen exactly the way that I would have envisioned. I am learning to trust that when I surrender, God has even bigger and better things planned for me than I can even imagine. Sometimes I just like to look for signs like this beautiful goddess singing to me from the waterfall, with her arms up in the air in a classic goddess pose and her dress spiraling behind her into the snow. And then nature likes to challenge our expectations and remind us not to always trust our own perception. When I walked out the other morning, it sounded like a gentle rain, but there was no rain falling from the sky. I walked out into the yard and found that it wasn’t rain, it was the ice on the trees melting and falling to the ground below. It was a beautiful sound and the world looked lovely in its shimmering glitter outlining every branch. I was thankful to be able to stop and spend a moment in awe and wonder at our world. And then I went to class where the students were debating an issue with perspectives based on their own history and belief systems. We talked about the #MeToo movement and #EnoughisEnough, #EqualPay and the #GenderGap and other hot topics in the current business climate. Sometimes we are sure that what we hear is rain, but maybe if we can learn to open our minds and shift our awareness, we will realize that it is not raining, but the ice is melting. Where can you start to shift your perspective? Are there moments that have made you aware of how beautiful life can be? How can you step out of your comfort zone and surrender to bigger moments of joy? Where do you need to allow yourself to melt? Are you ready to surrender the things in your life that cause you pain? Can you let go? It’s easier said than done. I find that trust and surrender are the hardest stage of the healing process. I feel like when people see me at this stage, they don’t understand how many steps I took to get here. I want to share the message that you can heal. You don’t need to be in pain. There are simple things that you can try in the comfort of your own home as you practice moving outside of your comfort zone and stepping into being your full self. I hope that my journey inspires you to take steps on your own healing journey. Start your journey right now. Join us for the next Magdalena Moments Reading Group. This class is the perfect place to start your healing journey. Learn about some things that you can try and practice simple techniques that you can add in to your own routine and apply from the comfort of your own home. We will be reading a chapter each week and practicing the “Things to Try” and then checking in with each other over the phone. I have studied the Science of Health and Happiness for over twenty years (I have extensive training in the Biomedical Sciences (Biology, Chemistry, Immunology, Environmental Health, Epidemiology etc.) and I have recently completed a three year mastery program with an internationally known spiritual teacher and healer. I incorporate into this the works of spiritual teachings from a variety of sources (both ancient and modern) and share with you how I have learned to incorporate this into the demands of a full and busy life with work and family. At this intersection of science and spirituality is where you will find your own truth. If you would like more support for your journey through a private healing session or my other services read more about what I call Strategic Inspired Healing here. Thank you for the blog post. I like how you called your daughter a skiing doula. Also, I love the saying that it might not be raining, it might just be the rain melting.